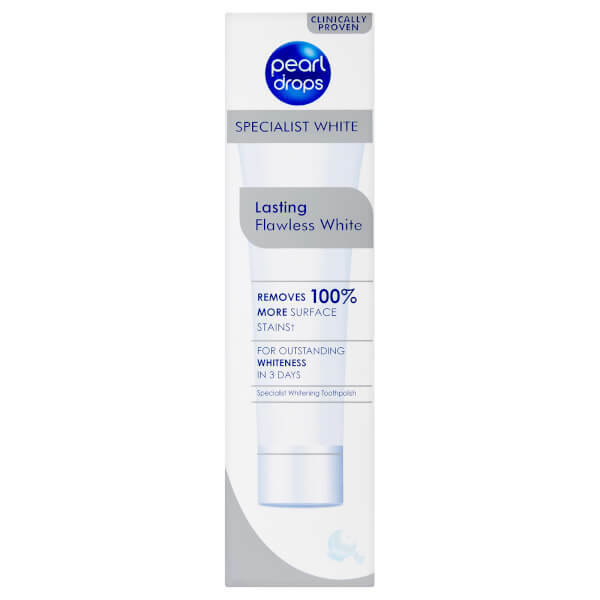 Reveal a brighter, whiter-looking smile with Pearl Drops Lasting Flawless White Toothpolish, the latest innovation from the teeth whitening specialists. Delivering superior stain removal and protection, the toothpolish can be used in place of your regular toothpaste to expertly whiten the appearance of teeth with visible results. Unveiling outstanding whiteness in just three days, the formula utilises low abrasion cleaning agents (Liquid Calcium™) and helps restore the tooth's natural surface, smoothing imperfections and improving shine. 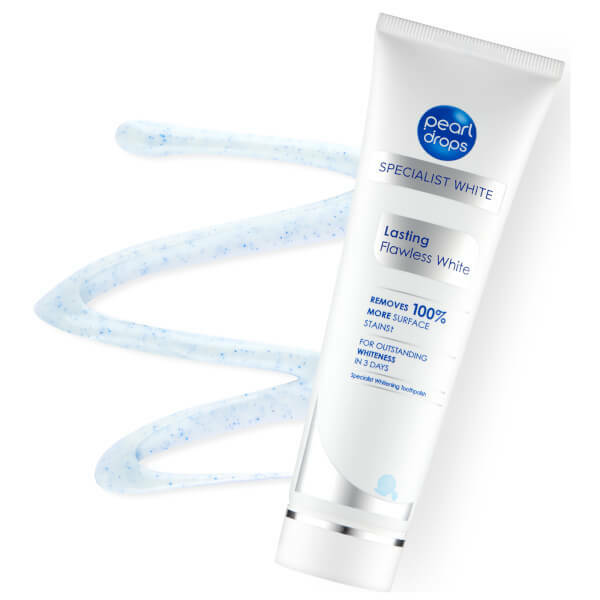 Clinically proven to remove 100% more surface stains compared to a standard toothpaste. The whitening formula will ensure you witness visible confidence from ear to ear. Also contains Fluoride and plaque removers to promote healthy teeth and gums. Brush 2 times daily. 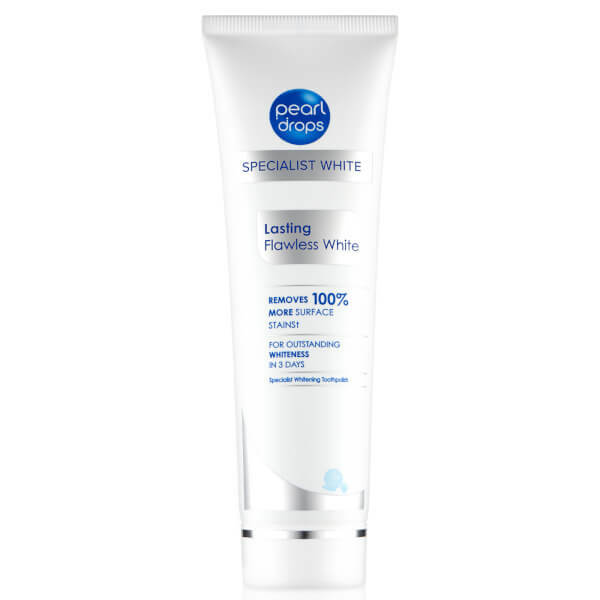 Use continually 2 times daily to protect whiteness. Use in place of your regular toothpaste.